It’s so great to see William changing and growing. One amazing thing to us is watching how he learns more about himself and his environment. 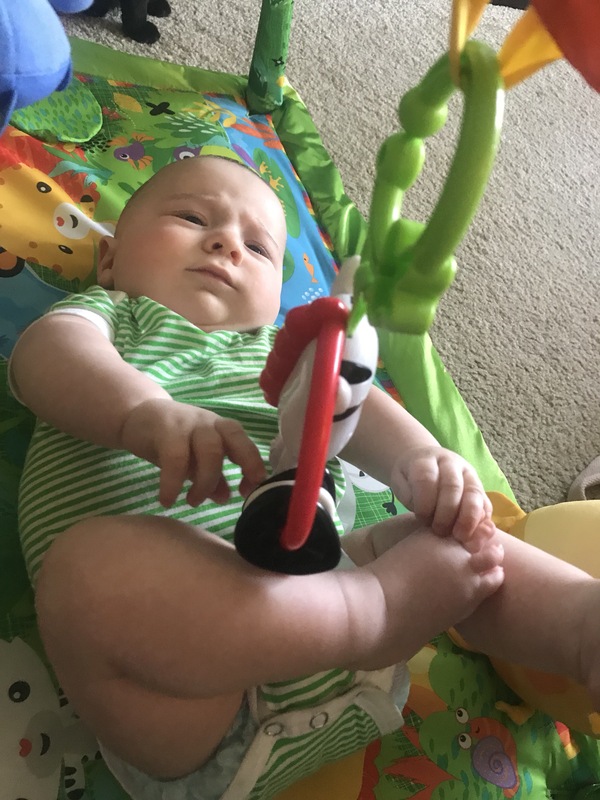 Recently he discovered that he can touch his toes with little effort. 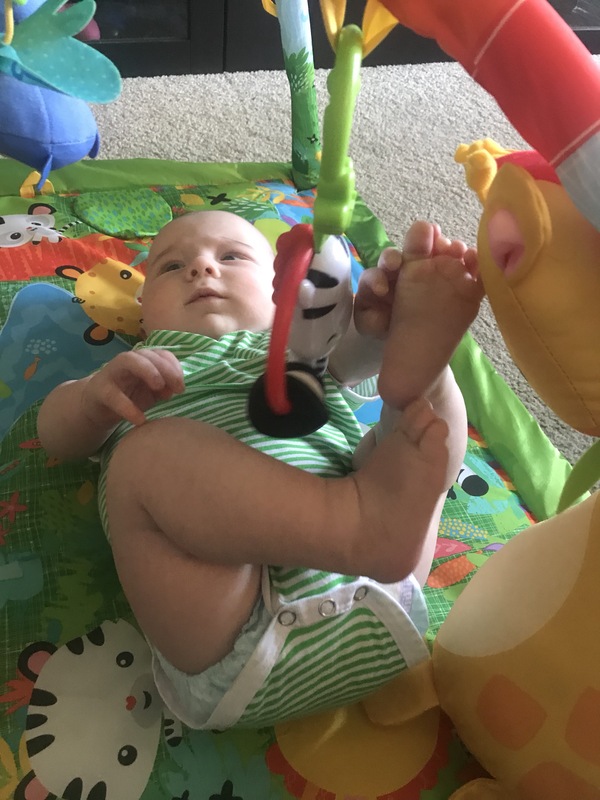 He first started doing so on the activity mat, bringing up his legs and gleefully touching his moving toes. 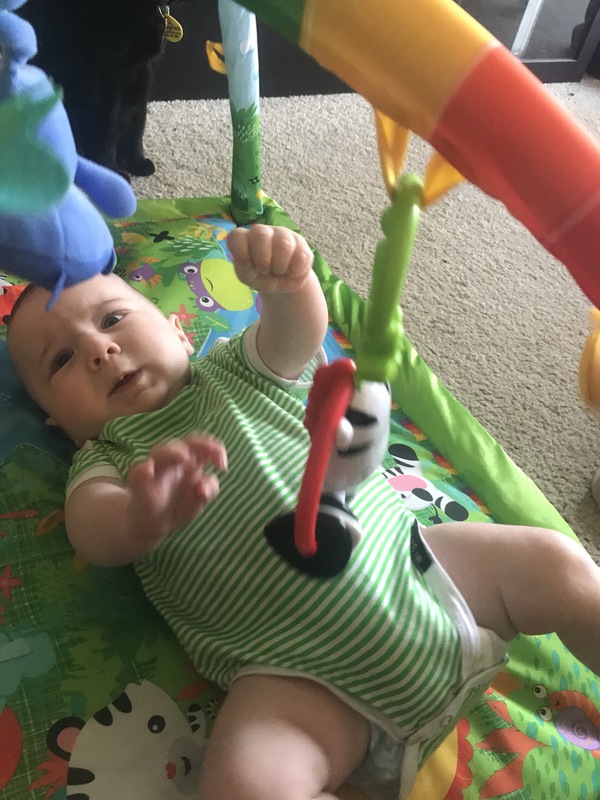 He looks so serious in his discovery that he can touch them with ease. 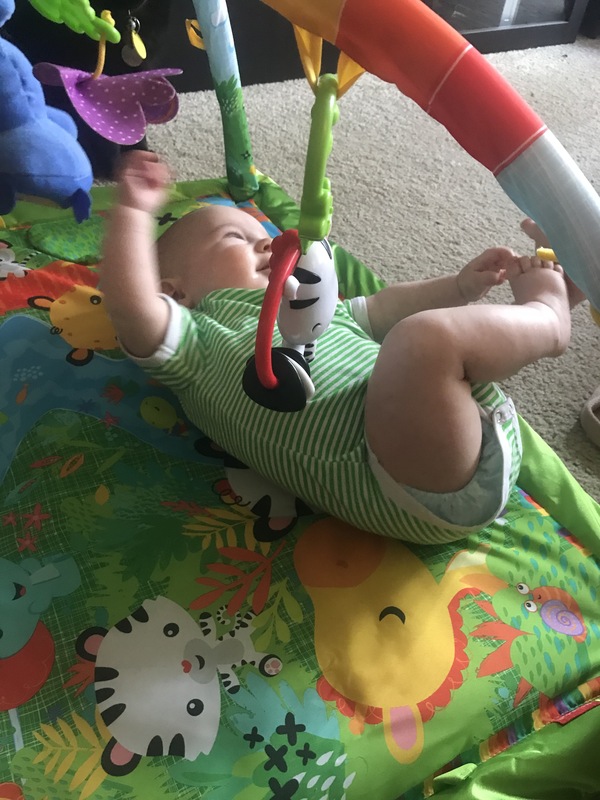 While on his mat he’s always loved trying to grab, and sometimes managing to successfully reach, the toys. He’s always been an active boy who kicks out his legs when he’s excited. 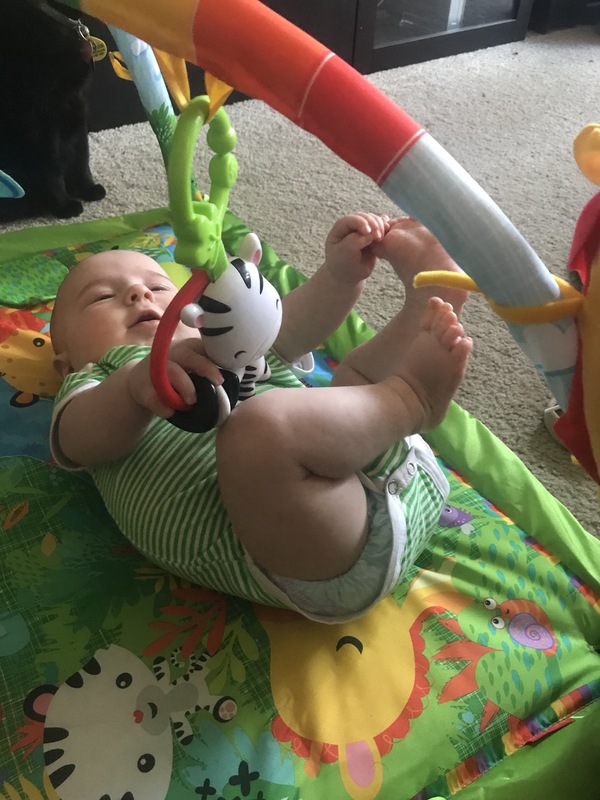 So not when he does so, he’s been kicking the support frame of the mat. At first I was worried it would collapse the system. Luckily, it’s a very sturdy frame that can move, yet stays strong. William amazes and enchants us with his new developments. It’s so great to see him enjoying learning as well.